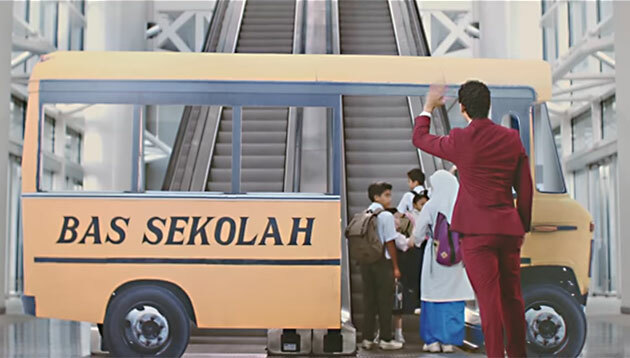 AIA Malaysia has teamed up with Leo Burnett Kuala Lumpur for its 70th anniversary video, which showcases the company’s past as well as future aspirations. Restless Productions was also involved in the video. While it might seem like a normal corporate history video at first glance, the video titled #AIA70YearsBetter was shot entirely on an escalator. According to Iska Hashim, group creative director, Leo Burnett KL, the team drew inspiration from the fact that AIA Malaysia’s 1965 headquarters housed one of the first escalators in Malaysia. The team saw the fact as a “perfect encapsulation” of AIA Malaysia’s brand message, which aims to look ahead, innovate and bring Malaysians to the next level. The video depicts AIA’s journey in Malaysia, from its launch in 1948 to the post independence era in the 60s, as well as the various initiatives launched for consumers. A multitude of props were used in the video, such as a cardboard car and a marching band. Eric Chang, CMO, AIA Malaysia, said the film narrates the company’s legacy in a “fresh and exhilarating way”. “As a company, we recognise the importance of balance. We may have been around for 70 years, but we’re going to be around for a lot more. And we’re always going to be focused on helping Malaysians live healthier, longer and better lives,” Chang added.